It should be worth it to spend money on the Best Price 8” mattress. Many advantages can be enjoyed with the said mattress so there should be no problem in investing money on the mattress. If you plan to get a high-quality mattress that can improve your quality of sleep at an affordable price, then the Best Price 8” memory foam mattress is your best choice. Investing money on a good quality mattress is a good idea. After all, mattresses with good quality can improve a person’s quality of sleep. Once an individual sleeps cozily at night, that will improve his or her health. Moreover, it promotes better performance in work or at school. Ideally, you would want to get the Best Price Mattress 8-inch Memory Foam Mattress. After all, this is one of the best mattresses available in the market that enhances one’s sleep experience. It offers a wide range of features and advantages. Read on so that you can get to know the said mattress and confirm to yourself that you are getting the best value of your money. The memory foam has the ability to mould itself according to the body shape of the person using the said mattress. Thus, it would be easier for the individual to have a good quality of sleep on top of the said mattress. Every part of the body will be given appropriate support then. That means that you can easily get your stress, back pain, and joint pain relieved if you have this body conforming Best Price mattress. This mattress is made up of high quality materials. From the deepest part , the mattress is made up of high density base foam. On top of the high density base foam, the next layer is made up of super soft pressure relief foam. There is also a layer of memory foam infused with charcoal to get rid of bad odor on top of the super soft pressure relief foam. After that, you have the comfort poly Jacquard cover. The cover has a zipper which makes it easier to remove for washing. All of these add up to the materials composing the Best Price memory foam mattress. Not only will these materials mould according to the shape of your body, it also intelligently identifies the pressure points which are causing discomfort while you are sleeping. Best Price memory foam mattress has a pressure relief system. This system starts as soon as you lie down on the bed. The topmost layer of the mattress will react to the user’s body temperature. Within a few minutes, the foam mattress will then comfort to the user’s shape. The said memory foam mattress will easily accommodate the body’s troublesome areas such as the hips and shoulders. There are many standards that are relevant to the mattresses. One of them is the CertiPUR-US. 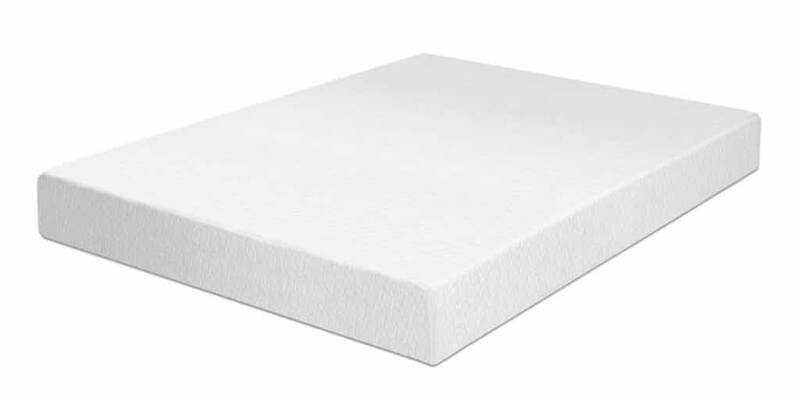 The Best Price memory foam mattress is CertiPUR-US certified, which then ensures that the mattress only contains high quality polyurethane foam. The said material is what guarantees comfort, healthy environment, and reduced fire risks. Just like any other mattress, this also comes with a warranty. The warranty will help the user get the mattress repaired when it needs to. The Best Price mattress has a ten-year warranty covering its product. The 8-inch model of the Best Price memory foam mattress is a feature that most people will appreciate. This is a feature that negates the heating concerns present with other models. You will feel cooler while sleeping with the 8” Best Price memory foam mattress. Comfort: It can contour its shape according to the body’s outline. Once you lie down, the mattress will mould to your shape, including troublesome areas like neck, abdomen, and shoulders. Very Cool: Having the ventilation system makes it easier to sleep at night. One does not have to wake up in the middle of the night just because he or she feels hot. 10-Year Warranty: The ten-year warranty provided by this memory foam mattress is a proof that the Best Price mattress is one of the best products in the market. There is no manufacturer that will give out warranty for such a long time if they are not confident about the quality of their product. No Unpleasant Odor: There is no unpleasant smell coming from this mattress. It has a charcoal infused layer, keeping unpleasant odor away. Easy to Clean: The cover can be removed easily so it is easier to clean. Difficult to Move Around: This mattress is thick. When delivered, the mattress will be rolled and vacuum packed. You can bring it to where you want to place it with ease. However, it might be a bit different if you have already unpacked the thick mattress. It should be worth it to spend money on the Best Price 8” mattress. Many advantages can be enjoyed with the said mattress so there should be no problem in investing money on the mattress. If you plan to get a high-quality mattress that can improve your quality of sleep at an affordable price, then the Best Price 8” memory foam mattress is your best choice.